This case is based on a research paper about the lignin content of genetically modified corn published in the American Journal of Botany. 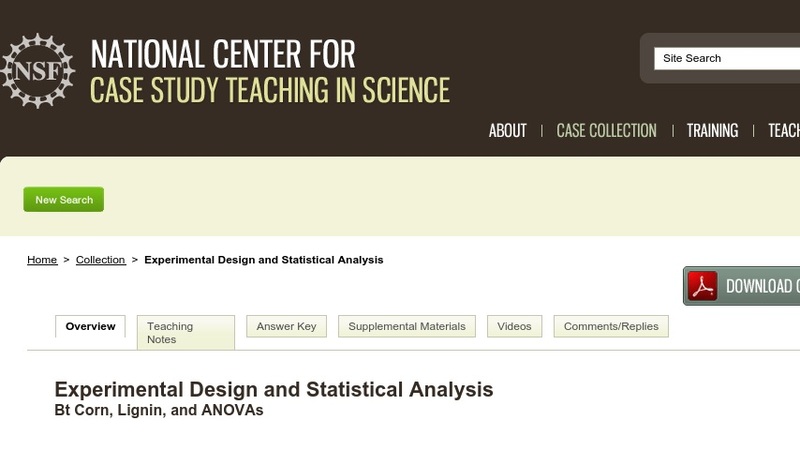 Students are asked to analyze and discuss the paper, focusing on questions related to experimental design and interpretation and a critique of the statistical data presented. Developed for use in an upper-level undergraduate course in plant ecology and a graduate biostatistics course, the case could also be used in courses in plant anatomy, plant physiology, soil ecology, agriculture, or genetics.